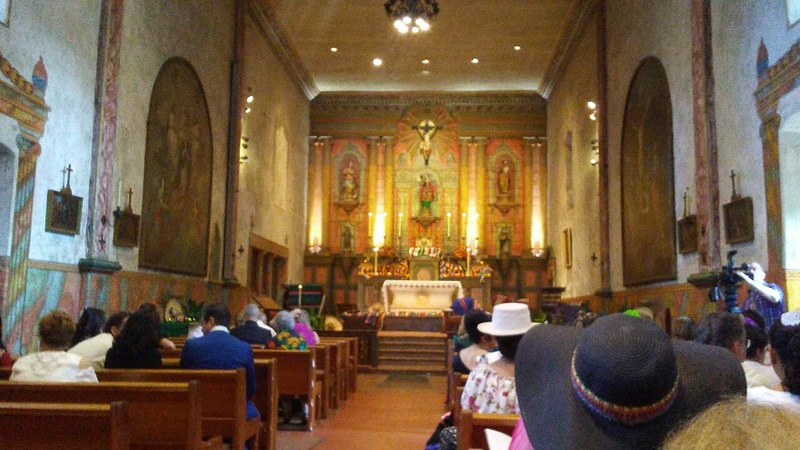 The beautiful High Mass (La Misa del Presidenta) held in the Old Spanish Mission was well attended by Old Spanish Days dignitaries, and local residents wishing to join in the celebration of the beginning of the 93th Old Spanish Days in Santa Barbara. Father Larry and his brothers presented the honorary Mass, where Gerd and Peter Jordano were presenters of the communion gifts. La Presidente Rhonda Ledson Henderson gave a brief thanks to Father Larry, the Old Spanish Days Board, and her family for all their support in carrying out her duties as 2017 La Presidente. Following Mass a reception was held in the Mission Rose Garden where refreshments were served to all in attendance. That night the DIGS! (Celebration de los Dignatarios) began at sunset on the ground of the Santa Barbara Zoo where hot live music, amazing tastes from local restaurants and a bevy of cool and delicious sips were enjoyed. DJ Hecktik sounds were danced to by fun loving guests donning their finest Old Spanish Days garb. Fess Parker Double Tree Resort & Spa provided trolley rides to and from DIGS! and everyone seemed to love arriving in a Santa Barbara trolley. The driver was a very entertaining guy, and it was beyond nice not to have to hassle trying to find a parking space in or near the zoo.Guests were greeted by Mariachi's and Margarita's! Anyone who is anyone (or wants to be) tries to plug into the DIGS! do in the Zoo which is considered the best party of Fiesta, and always attracts a who's who of Santa Barbara VIPs and elite. Among the 2017 VIPs in attendance were Hal Conklin, El Presidenta Rhonda Ledson Henderson, Mayor Helene Schneider, Councilwoman Cathy Morilla, Das Williams, Chief of Police Lori Luhnow, Joe Buttitta & Kelsey Gerckens KEYT3, the two Franciscan Fathers of Santa Barbara Mission, an army of media and fun loving guests. The Spirit of Fiesta 2017 Norma Escarcega gave a brilliant performance that delighted DIGS! guests. 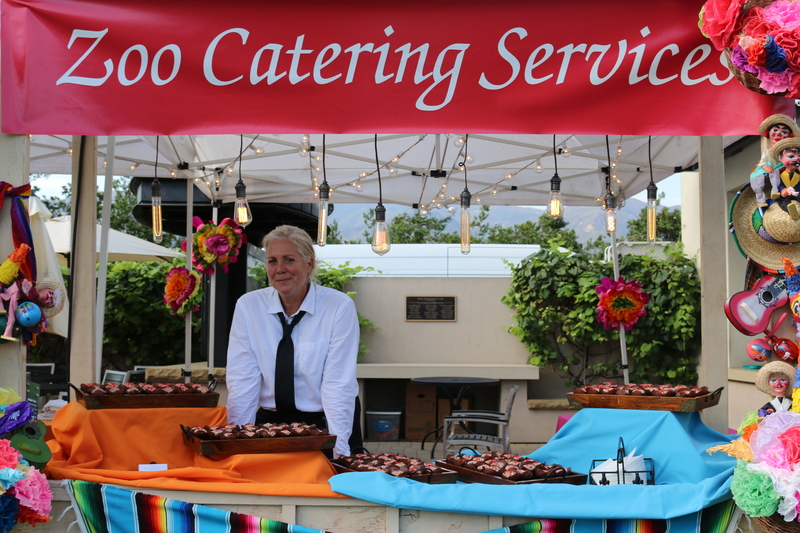 So many of my favorite food purveyors were serving tastes including Via Maestra 42, Ca Dario, Farmer Boy, Loquita, Santa Barbara Zoo Catering, Brophy Bros., Santa Barbara Catering and so many more. 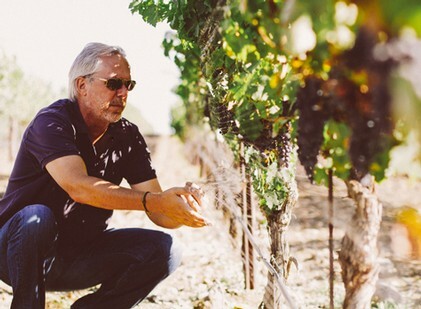 Liquor was flowing from Tequila coolers to lovely wine sips from Zaca Mesa Wines,Lucas & Lewellen Wines, Beckman Wines and more. One of the favorite desserts was a non-dairy ice cream by Reveri, and the Palace Grill served Creole gumbo that was exceptional. Many thanks to the generous sponsors who supported this event. For a complete list of sponsors please visit: www.sbfiesta.org. It was yet another fabulous DIGS! Another memorable time at the Santa Barbara Zoo and a good time was had by all! Viva La Fiesta!